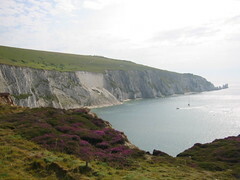 Iâ€™m Steve Sargeant, Managing Director of LCM Systems, based on the beautiful Isle of Wight. LCM Systems design, manufacture and supply a comprehensive range of standard and customised load cells, load pins, pressure transducers and associated instrumentation. Our products are used throughout the world in a wide range of industries, predominantly for lifting and weighing applications. Why donâ€™t you visit our main site here at LCM Systems.com to find out a lot more about our products and services? There we have comprehensive product information complete with downloads, full specifications, an opportunity to buy online and a range of special offers. So why have a separate blog you may be asking? Well, I have spent over 25 years in the engineering industry, with a particular interest in load cells, their uses and applications. Throughout this time I have seen many trends come and go, as well as sometimes being appalled at examples of bad practice when substandard components have been incorporated into vital safety equipment. So, this blog is here to talk about more general issues within the marketplace and to provide a place for lively and informative discussion. I hope engineers throughout the world will subscribe to the blog and join in with any comments or topics you want covered. Use the RSS button at the top of the page to be alerted when new posts are added.